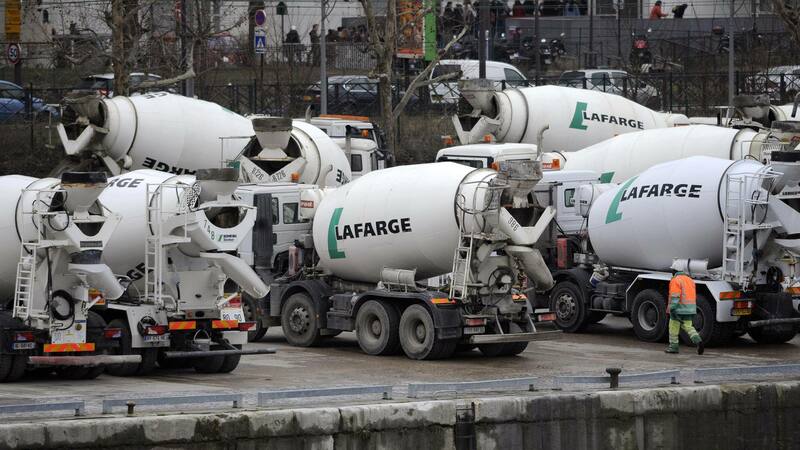 Paris/Berlin, June 28, 2018 – Today, cement company Lafarge was indicted by investigative judges on charges of complicity in crimes against humanity, financing of a terrorist enterprise, and endangerment of people’s lives. The indictment of the company itself comes after eight former Lafarge executives are already under formal investigation. This landmark decision must press Lafarge to face its responsibilities and to open an independent compensation fund so that all former employees receive appropriate remedies. This is a worldwide premiere for a parent company to be indicted for complicity in crimes against humanity, marking a decisive step forward in the fight against the impunity of multinationals operating in armed conflict zones. It is also the first time that a multinational parent company in France is indicted for the activities of one of its subsidiaries abroad. In May 2018, Sherpa and the European Center for Constitutional and Human Rights (ECCHR) – initiators, along with 11 former employees, of the criminal complaint against the cement manufacturer Lafarge – submitted a memorandum to the investigative judges, in which they argued that it was necessary to indict the company for complicity in crimes against humanity at this stage of the proceedings. In that submission, Sherpa and ECCHR explained why the crimes committed by the Islamic State (ISIS) in northeastern Syria between 2013 and 2015 must be considered as crimes against humanity. It was argued that Lafarge acted as an accomplice to these crimes by financing IS, and by failing to ensure the security of its employees. The charge of complicity in crimes against humanity is of fundamental importance as it further frames this case in the context of multinational companies’ involvement in armed conflicts. “The indictment of Lafarge is a historic step in the fight against the impunity of multinationals led by Sherpa since 17 years. This case must create a precedent for all the corporations that fuel armed conflicts. Access to justice for thousands of victims in war-torn countries, among which the Syrian plaintiffs, depends on it,” says Sandra Cossart, director of Sherpa. “The activities of Lafarge in Syria, in a context where extremely violent crimes were perpetrated, including at the doorsteps of its factory, are a perfect illustration of how multinationals can fuel conflicts and human rights violations. That the justice system finally acknowledges the scope and gravity of these allegations is a major breakthrough, as well as another step forward for the plaintiffs,” according to Miriam Saage-Maass, Vice Legal Director at ECCHR. In light of this historical indictment, the progress made in the judicial inquiry and the prospect of a judgment, our organizations demand that Lafarge opens a compensation fund for all former employees and families of Lafarge Cement Syria (LCS, Lafarge’s subsidiary in Syria). Whether they remain in Syria or sought refuge elsewhere in the world, former employees of LCS must receive compensation for the moral and material damages they incurred. This compensation fund should be managed by an independent, impartial and transparent body. However, the civil parties, along with our organizations, reserve the right to continue legal action with regards to the charges of our complaint. We therefore ask Lafarge to fulfill its responsibilities towards its former employees and quickly establish a compensation fund for them.